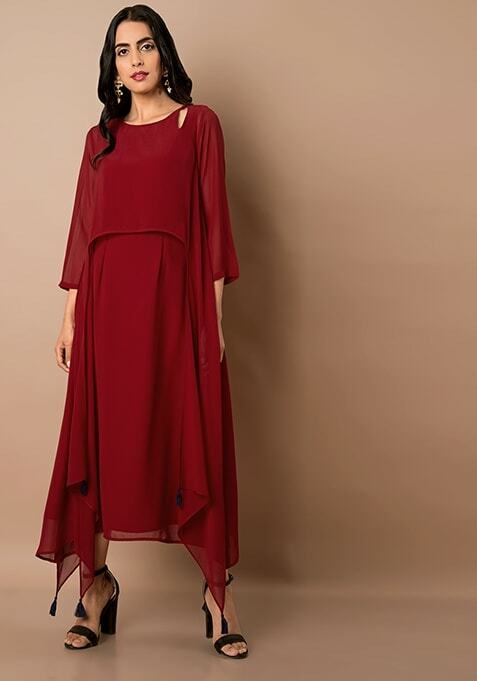 Crafted in the softest georgette, this oxblood tunic is trendy party wear. Features high low hem with tassels in the end. Work It: Wear it with high heels and subtle makeup.